Theatrical thrill is captured in this 2-CD set of live recordings of works by Rachmaninov, made in 2011 and 2013 at the Salle Pleyel, the Orchestre de Paris�s home until its move in early 2015 to the French capital�s new Philharmonie. Rachmaninov�s haunting Symphony No.3, written in 1936, is the work of a composer in exile (he had settled in Switzerland) and is filled with nostalgia for Russia. A subtler, more restrained work than the expansive Symphony No.2 � which was written nearly three decades earlier while Rachmaninov was still living in his homeland � it comprises just three movements. It also ushers in the starker style of the composer�s late works, typified by Rachmaninov�s final composition, the haunting Symphonic Dances, written in America in 1940. 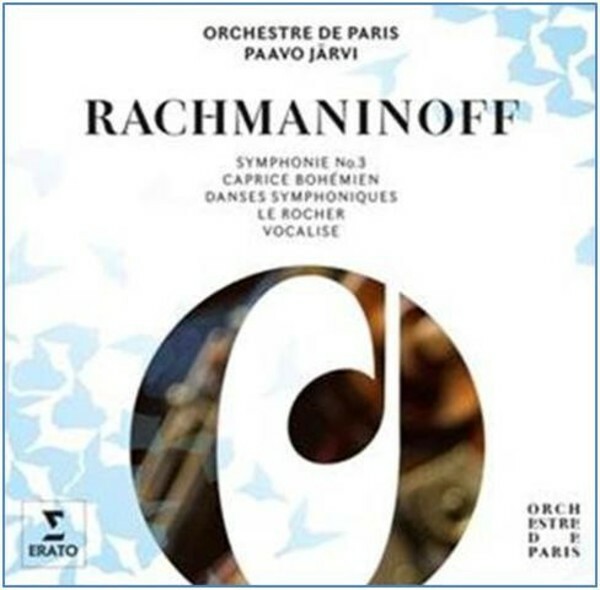 On these CDs, these two major works from the final decade of Rachmaninov�s live are complemented by two pieces from the 1890s, the Caprice Boh�mien and the symphonic poem Le Rocher, and by the celebrated Vocalise, originally conceived in 1915 for voice and piano and later arranged for orchestra by the composer.